So I’m getting out there with a new location to buy my books…Payhip. Books will be available in mobi (Kindle), epub, and pdf formats. The cool thing here is that you’re buying direct from me through these guys, and I get more of your payment in return. There will be more coming, as I get back to the main computer and upload more. Plus I’ll be running specials on the Netwalk Sequence books. Stay tuned…. I’ve kind of fallen behind on posting chapters for Netwalk’s Children and Pledges of Honor, but I have to wonder just how many people are seriously following along. It’s hard to say, but at least posting what I have has kept me going on the blog. It’s not that I don’t have things to write–I have lots–but between writing essays, taking a class, and doing stuff as well as keeping up with the horse, I find myself at the end of the day thinking that there’s things I should have been scribbling on the blog but haven’t. Oh well, that’s the way it flows. The house in Enterprise is proving to be quite cozy. The other day I felt totally crappy and wanted to lie down and read. It was a snowy day, so I opened the bedroom curtains and lay in bed, read, and looked up to watch the measured drift of snowflakes. 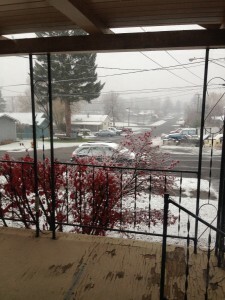 We’ve not had a heavy snow since mid-December, and temps have been hovering around freezing. Perfectly tropical. But we’ve been getting occasional snow showers, enough to keep the depth at about three inches here and close to a foot out in the pasture at the barn. It was quite comfy and cozy lying there and reading with snowflakes. Yeah. I’ve called this place a hobbit house, and considering it’s kind of built into the hillside, yeah, I guess it is. In any case, even when the temps have been down around 0 F, we’ve kept warm with just our little soapstone wood stove. We let the fire burn down at night, but even in the 0s it doesn’t get cold enough for the furnace to kick in (set at 60). Guess the triple-paned windows and additional insulation makes a big difference, as well. We have a handful of mule deer hanging around the house. Don’t see them every day, but often enough to know they’re our local crew. At least one is a little buck. When I saw him the other day he’d lost one antler. The muleys look good and healthy in this neighborhood, but a handful that hang out down the street look rough and not-so-good. The whitetails don’t appear to be quite as healthy as the muleys. Then we had a flock of about twenty quail move through. They first clustered around the base of the pine tree, then found the grain I’d scattered for the birds and scratched it up quite effectively. Another big flock is hanging out at the barn. They’re awfully cute. Mocha is wintering well. I think she’s continuing to put weight on. I can’t see ribs on her, even after riding with her coat packed down. The cold doesn’t appear to bother her, neither does getting damp. She’s looking relaxed and happy, and marches right out when I saddle her up for a ride in the snow. We’re talking about digging out the horse trailer and hauling her to an indoor arena once a week to start legging her up for spring riding. I just have to overcome my nerves about driving on packed snow and ice. Everyone else does it, so I just need to adapt as well. I’m putting together some ideas for craft work. I’m not certain how well it will work but I’m going to be playing with things. I’ve also come across some inexpensive books and will be reviewing them. Overall, we’re just having a quiet January. I have a nasty IBS flare popping up that apparently was triggered by drinking holiday dairy-free nog with stevia. Apparently stevia and I don’t get along. Who knew? I’m also taking an online class to renew my teaching license, putting together a memoir/Self-Publishing for Beginners course for the spring, and venturing into creative nonfiction. I’m also plugging away on the first draft of Beyond Honor. Which, to follow that line–Pledges of Honor is selling well while Netwalk’s Children isn’t moving at all. Sigh. But yay. I knew that Pledges has a market. Non-European setting fantasy with a strong female lead? You betcha. But still, it makes me sad for Children. On the other hand, who knows what could happen in a year or two? So that’s enough for today’s ramble. See you all later. Happy New Year! I’m working away on Beyond Honor, a prequel to Pledges. Also, starting today and running through January 7th, there’s a special New Year’s deal for both Pledges of Honor and Netwalk’s Children–I’ve dropped the price to $2.99 on the Kindle for the holiday season! Check it out. And with that, we’re on to Chapter Five, in which Katerin is back in Wickmasa and receives unexpected magical help and gifts. Plus two lucky people on my newsletter list are getting FREE copies of Pledges of Honor today! What a way to start out 2016! Blogging about Christmas and all later on….for now, it’s Pledges of Honor Chapter 4. Just got a lovely review on Goodreads by someone who couldn’t put the book down. Oops, now I need to get cracking on Beyond Honor. So here it is, Chapter Four, in which Katerin finally gets the remembrance spell lifted and she realizes the significance of Wickmasa…. And as always, if you want to read the whole thing, the books can be found at Amazon, Nook, iBooks, Kobo, and etc. Or if you’re not already signed up for my newsletter, do so today and you’ll get a chance at getting a free copy? I’m giving away two copies of Pledges of Honor and Netwalk’s Children as a part of my New Year’s newsletter. What a way to start out 2016! Message me or send an email to jrw at aracnet dot com. So here’s Chapter Three of Pledges of Honor. Katerin gets to the Healing House, to find out that it is indeed as Imnari says…”Wickmasa has need” is all she has to say. Interestingly, these chapters tend to run short while Netwalk’s Children runs long. I’ve never really paid attention to the different lengths of chapter before. Funny how that works. And as always, if you want to read the whole thing, the books can be found at Amazon, Nook, iBooks, Kobo, and etc. Or if you’re not already signed up for my newsletter, do so today and you’ll get a chance at getting a free copy? 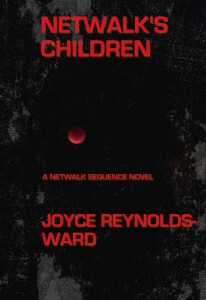 I’m giving away two copies of Pledges of Honor and Netwalk’s Children by New Year’s. What a way to start it out! Ooops, running late. Craft show today…blog post on that tomorrow or Sunday. Meanwhile, here we are at Chapter Two. Katerin has an interesting meeting with Wickmasa’s Council, where she learns something she doesn’t like…..
And by the way, Pledges of Honor is now available in the usual places. Kindle here, or Nook, Kobo, iBooks, and others at Draft2Digital here. Here at last! 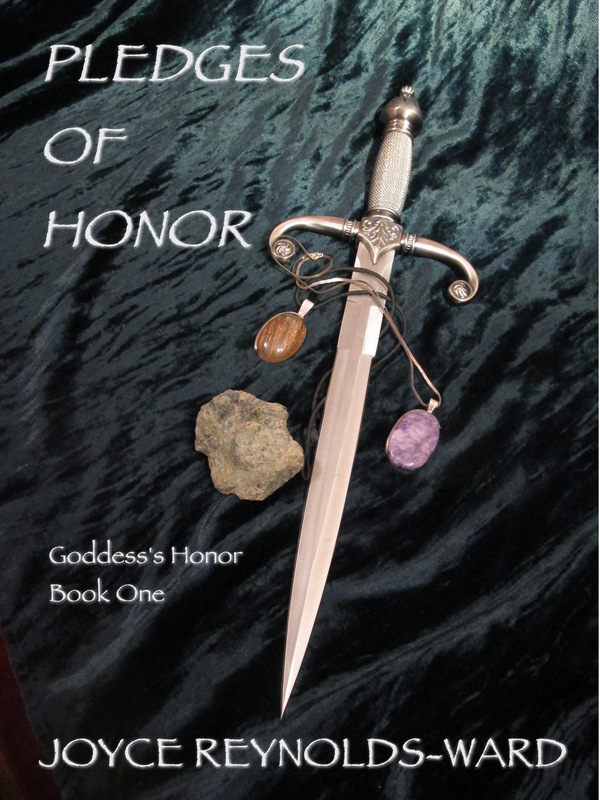 Pledges of Honor, first in the Goddess’s Honor series, is now out at Amazon and Apple iBooks, Nook, Kobo, Oyster, and others through Draft2Digital. PLEDGES OF HONOR, the first book in the Goddess’s Honor series, introduces us to Katerin, a wandering circuit healer seeking to avoid both her past and a prophecy that could mean her doom. But when the suicide of a village healer sweeps her into the intrigues of Gods and humans, she has no choice but to face past and prophecy to do what is right. Can Katerin forge an alliance with the dangerously attractive Metkyi, avoid the curses of her destiny, and help restore a hidden leader to her rightful place? Explore this high fantasy story with a non-European setting and strong female characters for something different! A few notes about this book: it is based on a world I created way back in my high school years. I’ve been poking at this story for years and years, and finally found a means to enter this world after an editor rejected the short story that is now Chapter One with the comment “this reads like the first page of a novel.” I realized she was right, and started writing. But. When I tried to sell it to traditional publishers, it got a lot of “I like this story but I can’t market it” comments. This was back in 2008ish, so I just put it aside and focused on other things. Then as a result of one of my stories being in an anthology that was an EPIC award finalist, I ended up selling the book to a small press. Then nothing happened. The book fell through the cracks, and the publisher changed their emphasis to the degree that I would have needed to rewrite a significant subplot to meet their criteria. Thank God for a publication date written into the contract and a reversion clause. I got the rights back this summer, and, well…what wasn’t marketable in 2008 might just be doable in 2015. But…I’m not waiting around on New York this time. I also went for Draft2Digital for everything but Amazon this time. Amazon and I get along reasonably well these days (well, except for CreateSpace covers, which is why the CreateSpace version isn’t ready yet). But…the others. Sigh. Smashwords makes me crazy any more, and I thought I would see how long it took for D2D to post books on Nook and Kobo as compared to what it looks like when I put them up myself. Huh. Things processed through much more quickly through D2D, and D2D sends me updates as each distributor accepts the book. Okay, that was relatively painless. I’m pleased. Anyway, here you are, the first installment in a high fantasy series with non-European settings and strong female characters. It’s not an exact analog of our world because it’s not meant to be. If it were, this would be a Weird West story. But it’s not (I’m developing a Weird West variant kinda sorta. Still in very early development stages). You’ll find lodges and longhouses, hot springs, ranches, farms, and sets of semi-nomadic cultures. The Seven Crowned Gods don’t come from any particular pantheon but how they do things can be…interesting. And because it’s Friday, here’s the first chapter of Pledges of Honor, currently on pre-order at Amazon and scheduled to go live on December 3. Katerin finds out that there’s something rotten in the village she’s taken overnight refuge in…..
Woke up to this today, and it kept on coming. However, because things were right at freezing, even though the snow kept falling at this level, it also wasn’t piling up above two inches. One of the first things I did was trek out to the barn to check on Miss Mocha because she hadn’t gotten her winter shoes yet. That appointment is scheduled for this Friday, and I had been hoping that this storm would be like the others and warm up. Nope. She came loping up with the herd so things weren’t too bad, though she was grateful for me picking out her hooves and spraying WD-40 in them to help stave off the worst of the ice balls. I thought she was shaking because of the cold for a moment but no, it’s because she’s been conditioned to equate getting caught with being fed grain. So she got a taste of grain (about a handful) and she settled with no shivering. Maybe she thought I was going to be crazy enough to try to ride her in this stuff. Nope, not if I don’t have to. Then, when I turned her out, she trotted over to one of her friends and they pressed foreheads together, then she trotted off to join the other one. That mare…sigh. She doesn’t like me taking Mocha away from her, so we Have Discussions. I suspect part of the issue is that this mare is still pretty lame (she’s there for a pasture layup) and Mocha being Mocha, she’s looking out for her. Or something. There’s so much that’s been going on and it’s been easier to throw a note up on Facebook than write about it. I interviewed for a long term temp job and didn’t get it, but it was a good interview and I know why I didn’t get the position (credentialing). That meant we had to adjust a Portland trip time for the flying trip back to do the interview. Then it was back to Portland and Clatskanie, to winterize the garden plus search out chanterelles. We ended up with three days of great mushrooming as well as piles of produce. For a first year garden it turned out pretty well, providing the bulk of vegetables for four households (all us old folks) from mid-July through the first part of November, as well as giveaways to others. And there’s still onions, carrots, beets, and chard left. We froze some of the produce but ate most of it fresh. I also have two books launching, one in November and one in December. 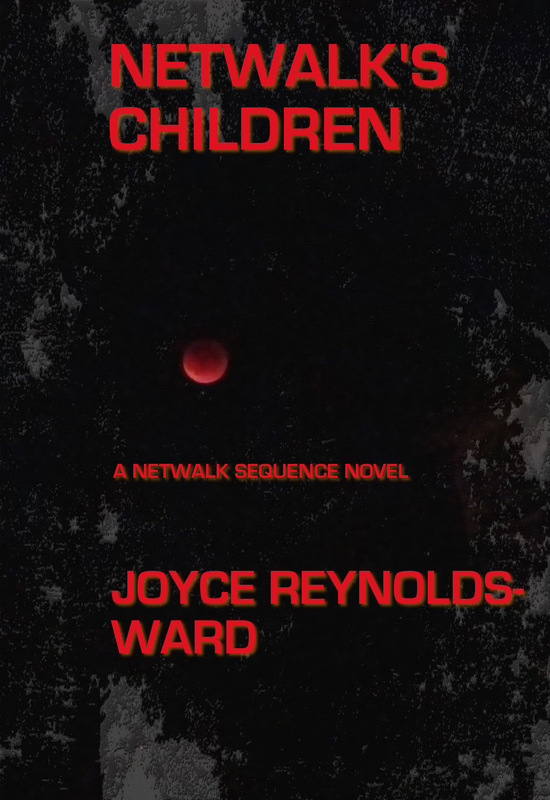 Netwalk’s Children drops the Monday before Orycon and Pledges of Honor in the first week of December. Production work is done on Children (hard copies will be available at Orycon) and work’s mostly done on Pledges. Now it’s just promotion (sigh). Promotion and inventory creation. That’s what I’ve got to do here. 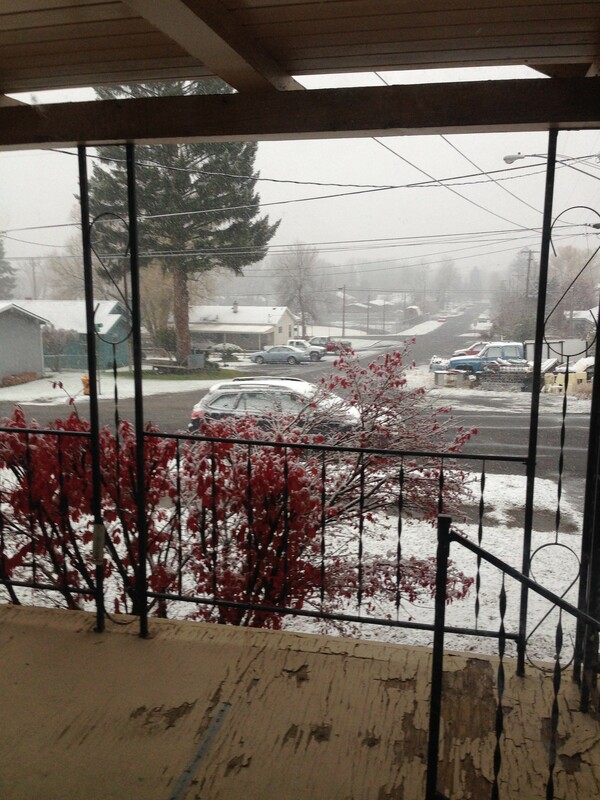 But for the first day of winter, with snow flying, we’re settled in and stuff is happening. And with that, I’m tired and off to bed.